We are offering a free download PDF version of two titles. Click here to sign up to receive the FREE ebook. How did we get this old? When you turned 50 AARP came knocking. When you turned 60 those gray hairs and wrinkles took over. When you turned seventy you started thinking about how many days you had left until the grim reaper came around. But you know you have many, many years left and why spend them as a couch potato. 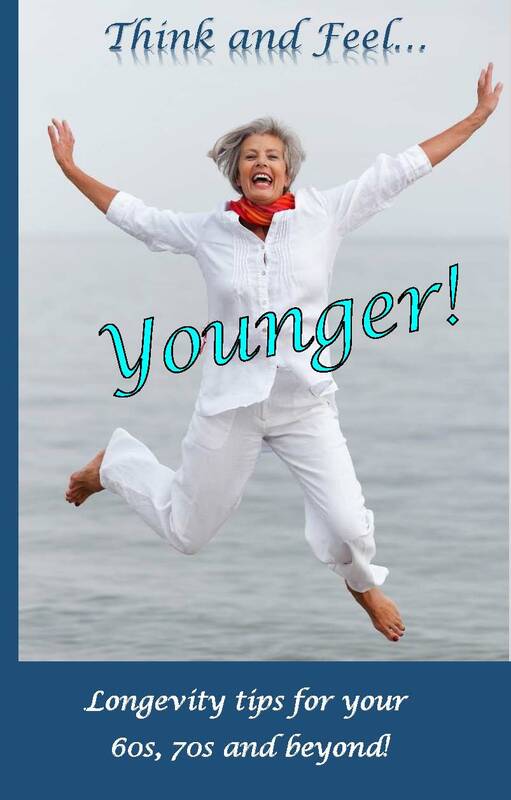 NLP Practitioner, Nina Anderson as the blogmeister Anti-Aging Lady, is well versed in the pitfalls of growing older. In this book she offers her wisdom on keeping a healthy brain, how to cure thinking old, new info on youth promoting supplements, natural help for aching joints and more in a lighthearted but factual way. The paperback version is available on Amazon or Barnes & Noble for $9.95. How to Live Longer with Cellular Rejuvenation. 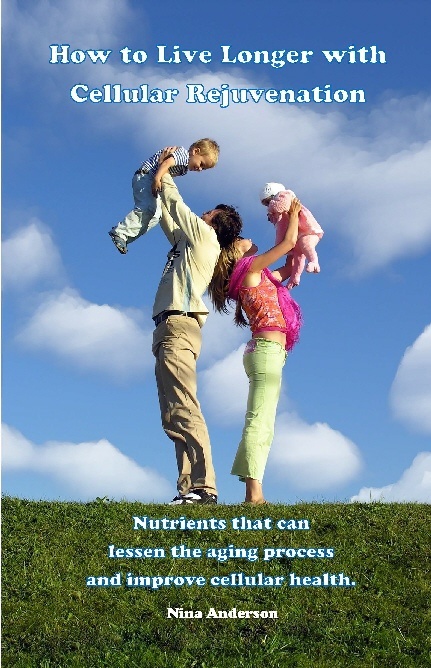 Nutrients that can lessen the aging process and improve cellular health. Scientific evidence supports the information presented in this book with many studies proving the efficacy of the natural compounds described. This compilation of extensive research will motivate you towards lifestyle changes you can begin when you are young, lengthening your road to longevity.